At the recent ADI Expo at Birmingham, visitors to our stand were invited to take part in a free prize draw to win a Samsung tablet. 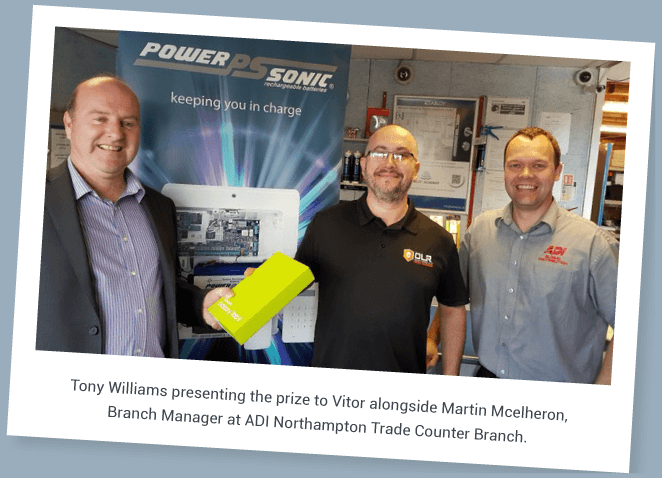 The winner was Vitor Ferreira of CLR Security Systems (UK) Ltd. Congratulations to Vitor and thank you to all those who took part – we look forward to seeing you again at a future show. 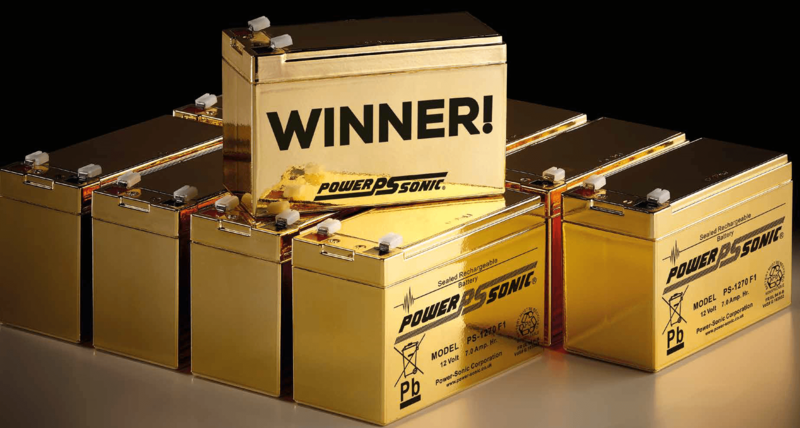 2 Gold Batteries Still to be Found in our Give Away! 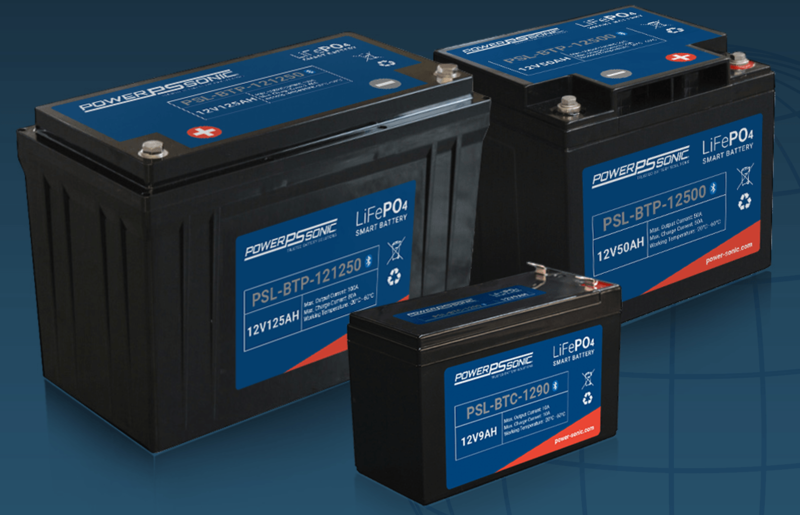 Manufactured using the latest technology and stringent quality control, our battery products are designed to exceed in performance and reliability. Our focused approach to exceptional end to end customer experience sets us apart from the competition. From enquiry to delivery and everything in-between we regularly exceed our customers’ expectations. Delivery on time, every time to customer specifications. We pride ourselves on offering tailored service solutions to meet our customers' exact specifications.